What is a swing folder? 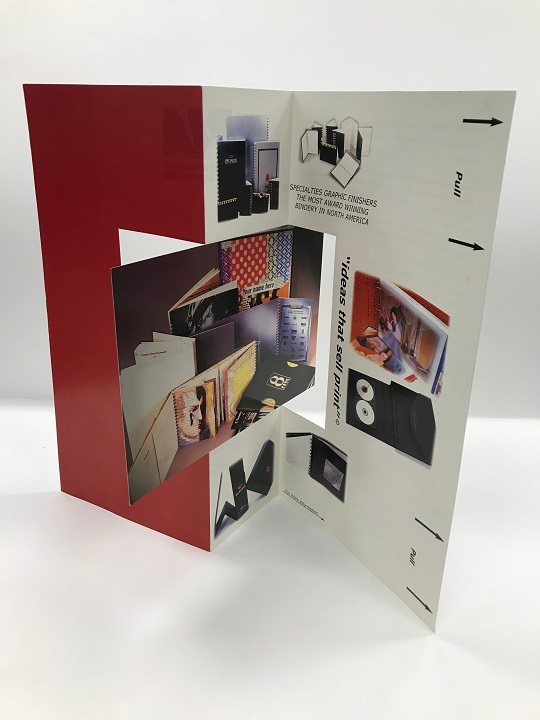 A swing folder is a die-cut, folded piece that literally has a die-cut panel “swing” completely 180 degrees; and “swing” back when right-side panel is pushed. We are able to bind this as a page in a perfect bound book. If an additional panel is added we can bind it into a saddle stitched book with certain specifications. The“swing folder” can be inserted automatically into envelopes for mailing. Sizes from 4” x 4”; 12” x 16”; stock from 8 to 14 point; coated or uncoated. 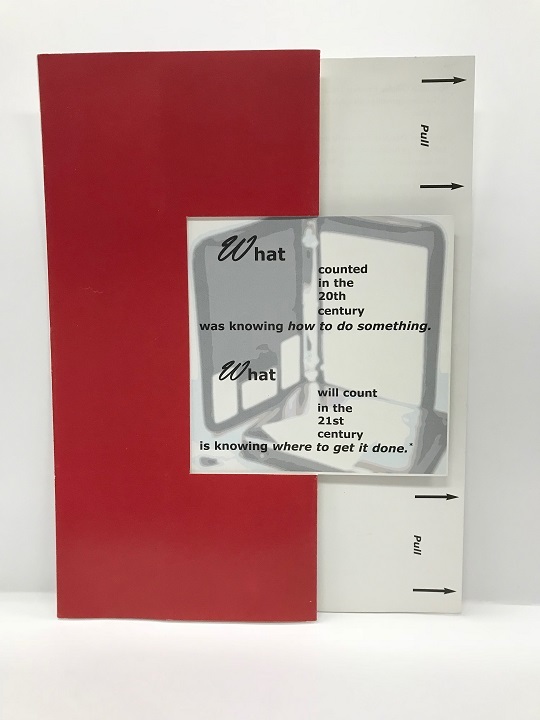 We die-cut and fold this piece automatically. Of the 18 pieces I presented this would about third or fourth cheapest.